You know that scene in the Avengers? That scene where Tony Stark (Robert Downey Jr.) starts talking about the faults of everyone on board and then he points out that this one technician was playing Galaga instead of operating the super flying aircraft carrier? Well it sorta happened in China this week when a weatherman was caught playing an internet game online while his boss was being interviewed by State media. Over the past two weeks the air quality in China has been particularly bad, especially in Beijing, where yours truly lives. The smog somehow found its way down to Shanghai, prompting reporters to talk to weather and health officials. The Shanghai based gossip blog Shanghaiist caught reports of a government meteorologist goofing off at work while his boss was being interviewed by the State media. During one of the interviews broadcast on Shanghai's own Shanghai TV News last Friday, it can be clearly seen at the 00:00:25 second mark that the man is playing China's favorite card game, Three Kingdoms Killers (三国杀 San Guo Sha). It's not known why he was busy playing while he should have been working, but Chinese netizens on the social network Sina Weibo have been poking fun at the incident since the image broke out. One netizen, 不能给Sk, captioned the photo, "who needs Zhuge Liang? Let me show you how to predict the weather with a game." 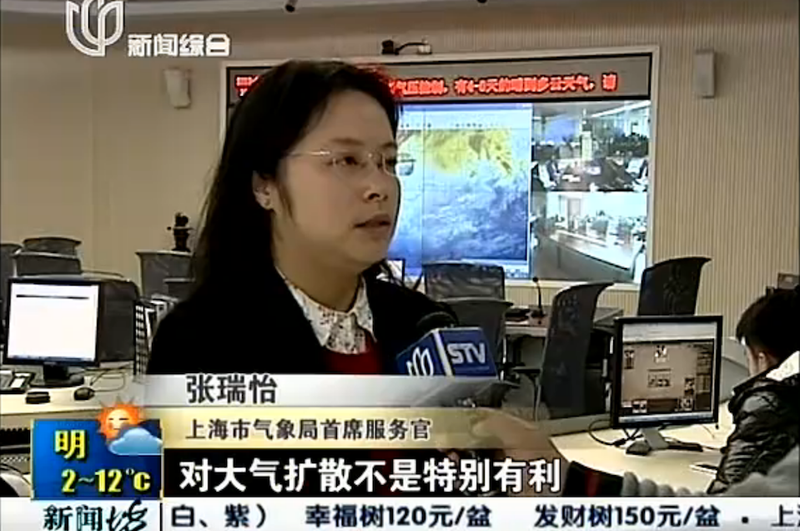 Similar comments on Weibo joked that Three Kingdoms Killers might just be the newest in weather reporting technology. Regardless of whether or not the game could be used for weather prediction, that weather department cadre better hope that he's in good standing or he might just be out of a job. Maybe next time he'll realize playing full screen games at work is a bad idea?